Our gas fireplace team of experts have been helping customers find the right fireplace for their home or business for more than 10 years. Our exquisite line of fireplaces will enhance any room of your home and our gorgeous options and accessories will help create your look of choice. Make sure to call us to find out the instant rebates, up to $500, for your state. Our beautiful line of Empire White Mountain Hearth fireplaces have been beautifying homes for over 75 years. We take pride in our reputation for quality products, backed by the best service in the industry. Our White Mountain Hearth series combines proven technology with exceptional artistry and craftsmanship to add beauty and warmth to any home. Our beautiful hand-painted log sets complement the flames from the slope glaze burner. With several distinct log looks, in sizes from 16 to 30 inches, our special collection helps you tailor your hearth's look to top off any room decor. We have tried to simplify your fireplace purchase online to help you save time and money, but if you have any questions please call one of our experts at (800) 961-7123. We have licensed installers throughout the United States that can help build your exact look. Direct Vent Gas Fireplaces: A gas fireplace that vents through an existing wall or ceiling. Vent-Free Gas Fireplaces: A gas fireplace that does not need to be vented because it has a 99.9% efficient gas burn. 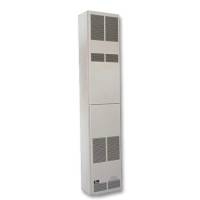 Vent-free systems can not legally be installed in some states due to local safety codes. Gas Fireplace Inserts: A gas fireplace insert fits into your existing wood burning fireplace for a clean and efficient heat source. Our gas fireplace inserts come with built in blowers and premier liners.